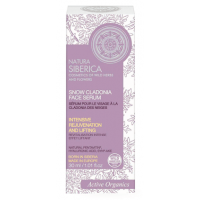 Natura Siberica Snow Cladonia Lifting Face Serum effectively revives the complexion, smoothing away fine lines and wrinkles. 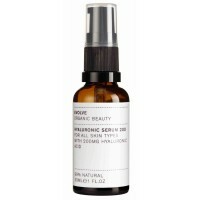 The powerful formula of this serum contains concentrated active ingredients from various Siberian plants for enhanced effectiveness. The Snow Cladonia Extract contains the rare Usnic Acid, which works to actively restore skin cells and effectively slow down the ageing process. 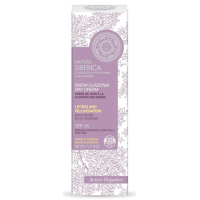 Snow Cladonia, which stays green even during severe Siberian winters, energizes and helps the skin to resist the external stresses that can negatively effect it. Extract of Wild Harvested Siberian Dwarf Pine is a wonderful antioxidant, protecting skin from external impacts, while Organic Chamomile soothes and calms the skin. Natural Pentavitin® improves skin’s smoothness and protective barriers, preventing dehydration and flaking.SYN®-AKE is an excellent hydrator and wrinkle eliminator, which gives your skin a natural healthy glow. Within just a couple of weeks of continued use, the serum minimizes wrinkles, leaving your skin looking radiant and noticeably younger. How to use: Apply in the morning or evening to a clean face avoiding eye and lip areas. 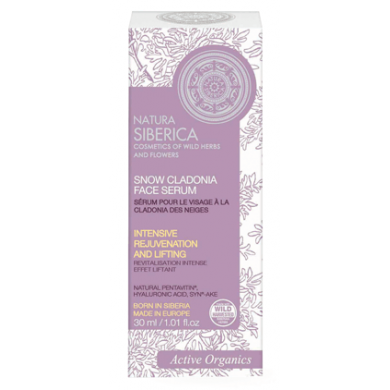 Follow with Snow Cladonia Day or Night cream. 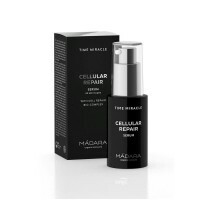 Madara Time Miracle Cellular Repair Serum is a clinically proven concentrate for active anti-ag..